Does Nikon's premium pocketable compact cut the mustard? More and more premium compact cameras are emerging into a market which is generally otherwise in decline. Boosted by a range of advanced specifications, these kind of cameras appeal to experienced users, or those looking for a backup compact for everyday usage. 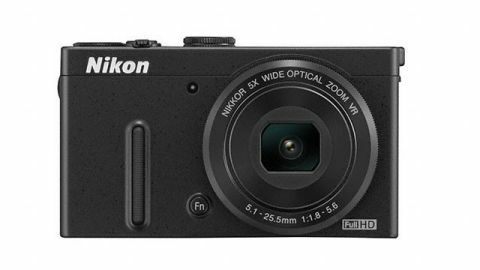 The Nikon Coolpix P330 occupies the same space as the Canon PowerShot S110 - it's not the company's top of the line compact camera, but it does have distinct advantages over the higher end Nikon P7700. First off, there's the Nikon P330's small size, which still manages to house a 12 million pixel 1/1.7-inch CMOS sensor. This is joined by an Expeed C2 processor and Nikon's second generation vibration reduction system to prevent the effects of camera shake. Full manual control is available here, as well as semi-automatic shooting modes, such as aperture priority and shutter priority. Full automatic shooting is also included, along with scene modes. Raw format shooting is a possibility, too. Although Wi-Fi isn't built in, the Nikon P330 is compatible with Nikon's Wu-1a wireless transmitter if you wish to transform it into an internet-enabled device. GPS functionality is included, however, giving you the option to add geotag location data to your images, or to have the camera notify you of nearby points of interest when shooting. A 5x optical zoom lens boasts an f/1.8 maximum aperture (at the wide end). In 35mm terms, you've got the equivalent of 24-120mm. Constructed from HRI glass, it features a seven-blade iris diaphragm, which should help to produce nice background blur. An ND filter is integrated to help expand exposure control in bright conditions. A 10x digital zoom is also available, expanding the reach to up to 240mm in 35mm equivalent terms. At the back of the camera is a 3-inch, 921k-dot LCD screen, although it isn't touch-sensitive. There's also no viewfinder, and with no hotshoe or port to receive one, you'll have to rely on the screen for composition. That Expeed C2 processor helps to facilitate both Full HD video recording and ISO capabilities from 100-3200. This is manually extendable up to ISO 12800, when using the Hi2 setting. HD video recording can be achieved at 60, 50, 30 or 25fps. Nikon has worked to improve the focusing on this premium compact camera, with a 99-point autofocus system on the Nikon P330. There's also subject tracking AF for shooting moving subjects. Speaking of speed, shooting at up to 10fps for up to 10 full resolution shots, or 30 full resolution shots at 1fps is available. Along with the bright lens and high sensitivity capability, the Nikon P330 comes complete with an inbuilt flash. Creative options include the ability to shoot 360 or 180-degree panoramas, 3D shooting mode and a monochrome shooting. There aren't any digital filters that can be used while shooting, but the retouch menu does enable you to enhance your photos post-capture. If you desire, you can add selective colour and cross screen effects at this point. There's also the ability to perform quick retouches and process raw files in the camera. In the premium compact camera market, the Nikon Coolpix P330 goes head to head with the likes of the high-end Canon PowerShot S110, but arguably also the Panasonic LX7 and the Olympus XZ-2. With a full price of £349.99 / AU$449.95 / US$379.95, it's also in the same price bracket as the excellent, 20x zoom-toting Panasonic TZ40/ZS30, the retro-styled 12MP Pentax MX-1 and the Wi-Fi-connecting, app-brandishing Samsung Galaxy Camera. So as we said, this section of the market is booming. Will the Nikon P330 be able to compete? Let's see how it does.